2019 marks our 10-year Anniversary of our CSA Program! We have made some changes- our CSA is now Customizable! CSA stands for Community Supported Agriculture. Members of the community commit their support to the farmer for the duration of the growing season and in return, the farmer provides those members with the produce grown from the farm in weekly shares during harvest. Members pay up front and will then receive a weekly basket/share containing a variety of produce. In 2019, our CSA shares will be customizable. A subscription to our farm offers you access to the freshest produce around. Use our easy online marketplace to customize your weekly CSA share while the veggies are still growing in the field. Each week, we automatically create a share for you, which you can log in and customize according to your preferences. Because we grow a wide variety of crops throughout the season, we offer a large selection to choose from each week. The advantages to being able to customize your share is that you get a choice in what you will receive each week. During the login period you can view what will be in your CSA Share this week before you receive it. If you do not like an item/ items, you can remove the item/items from your share and either add a different item in its place. Or simply remove and retain a credit for the item removed and use that credit later for other items. Knowing a head of time what you will be receiving in your share really makes your week easier to plan. Plus, with our market place online, there will be items available to purchase that are not in the shares that week, so you can shop additional items as well. We want you to enjoy all your produce each week, but you know your family’s schedule, likes and dislikes, so customizing your share will make the CSA share more compatible with your family. 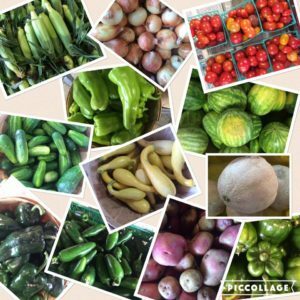 The growing season in Kentucky is ever changing; therefore, the produce may change weekly throughout the season. By becoming a CSA member, the customer will be reaping the benefits of the growing season, but will also have risk, as the farmer does, due to weather and any other obstacles that may occur, causing crops issues. The CSA allows people to feel a real connection to their local farmers and the land they operate on. 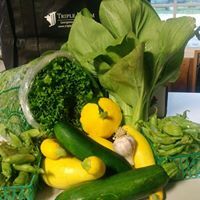 Therefore, CSA members will be receiving healthy, fresh, and local farm produce weekly, while also knowing the people and the farm they are supporting. Looking to eat healthier, the CSA is a great place to start! 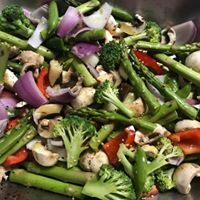 With plenty of veggies and some fruit you can cook more at home, which helps us to eat better by reducing extra salts and fats that are used in restaurants. CSA Members can expect to receive a weekly basket/share of our harvest for 18 weeks. Produce will vary from week to week, as the season changes, this season CSA members will be able to customize their shares each week during their login period. Members pay a fee up front to hold their share because shares are limited. Members are welcome to pay in full at the beginning. Otherwise, they can pay the balance over time, whatever works best for them. We ask for full payment by June 1st..
Full Shares – designed for a family of 4-6 people. $640.00 for the season (18 wks). Half Shares – designed for a family of 2-4 people. $360.00 for the season (18 wks). Most popular! A half share CSA example for May: Note: For 2019 our CSA shares will be customizable. We also offer shares for our free – range brown eggs! Half a Dozen Share – $40 for 18 wks. 1 Dozen Share – $70 for 18 wks. Going on vacation or need to skip a week? No problem. You can create vacation holds through your online account. This way we will automatically know that you will be missing your share that week. You will then receive a credit in your account for the share that you missed. You will be able to use this credit to purchase items from the farm using your account. We will continue to update delivery locations as we receive CSA subscriptions. At the farm – Thursday 4 p.m. – 6 p.m.
Georgetown Farmer’s Market – Saturday 9 a.m.-1 p.m.
Lexington Farmer’s Market – Saturday 7:30 a.m. – 12 p.m.
St. Matthews Farmers Market (Louisville) – Saturday 7:30 a.m. – 12 p.m.
We also deliver to businesses/ neighborhoods/groups in which there are 6 CSA subscriptions or more! As Delivery locations become confirmed we will add them above! To sign up, see the CSA Sign Up Online form at the top of the page!